Omg guys it's SUMMER VACATION! Unless you're an adult with a job that is not teacher, in which case it is NORMAL LIFE, BUT HOTTER! But even if you're stuck in an office, Nasty Gal's Vacation Shop is here to help you feel summery AF. And today, they're giving us lucky mortals up to a whopping 50% off EVERYTHING with code GIMME50. Let's dive in to all the goods! 1. A tropical-print one-piece to make you look so fly that all the parrots will flock to you. 2. A vegan leather fanny pack, because a fanny pack is now a summer essential and we should all embrace that. Whether your summer is full of festivals or just sweaty commutes, give your wrists a rest with this cute little hand-free bag! 3. A breezy striped button-down to keep you feeling cool and looking sharp all summer long. 4. A raw-hemmed denim jacket perfect for summer nights (or ice-cold movie theaters). 5. A pair of yellow-gant wide-leg pants that will make you feel like a cross between Katherine Hepburn and Tracee Ellis Ross (a combination that is honestly #everythinggoals). Katherine Hepburn + Tracee Ellis Ross = the greatest mash-up since "yellow-gant"
6. A ruffly jumpsuit with a palm print, because life is hard but jumpsuits are easy. 7. A pretty polka-dotted open-backed dress, come to answer the eternal question, "BUT WHAT WILL I WEAR?" This! You should wear this! 8. A patterned, lace-up maxi dress to let everyone know you're a free spirit, but not too free to care about looking super stylish. 9. A cute, versatile black denim skirt you can definitely wear for five days straight because you don't have to wash denim, right? Right?? 10. 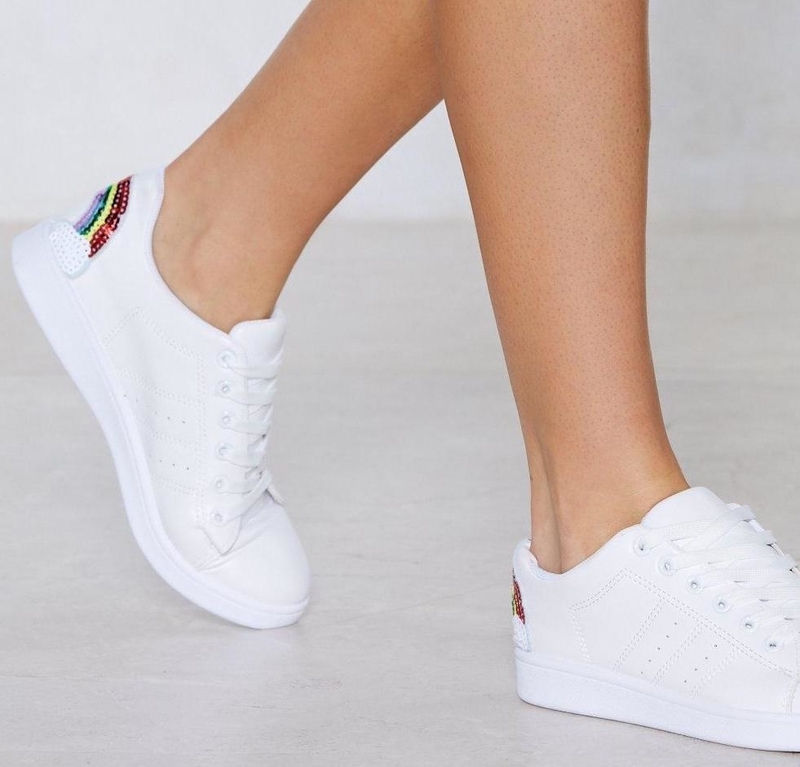 A pair of vegan leather white sneakers, because summer is the time to kick up your (rainbow-sequined) heels! You can check out ALLLLLLLLL the deals here.